Peel and cut the potatoes into 1-in. cubes. 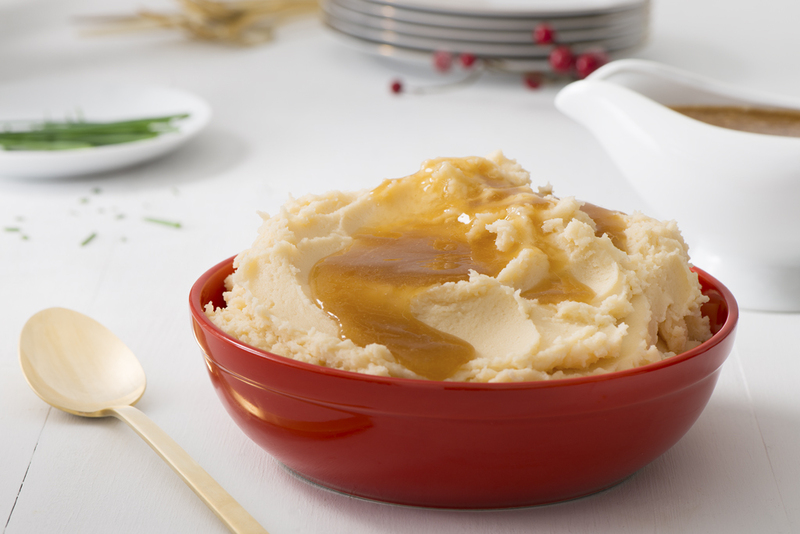 The best mashing potato is a “russet”. It’s high starch and low in water content results in a fluffy texture that remains light and airy when cream and butter are mixed in. To ensure quick and even cooking, cut the potatoes into uniform pieces. Simmer the potatoes in enough Campbell’s® Chicken broth or salted water to cover. Cook them for 10 minutes or until the potatoes can be easily pierced with a fork. To add flavour to the mashed potatoes—and to homemade turkey soup—reserve the potato cooking broth. Drain the potatoes and return them to the pan, reserving the cooking broth. To evaporate excess moisture, cook the potatoes briefly over medium heat, stirring constantly. 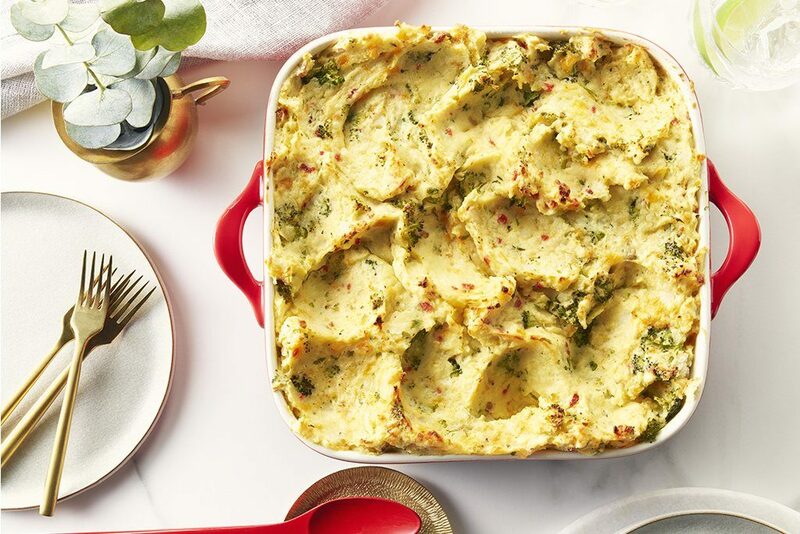 Use a hand-held masher, electric mixer or ricer to mash the potatoes. Add cream or milk, butter and enough of the reserved broth to reach the consistency you like. To make super-smooth, lump-free spuds, use a ricer. It resembles a giant garlic press and works in much the same way.